Experience the season all over again. 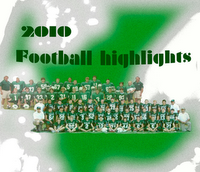 This DVD is packed full of the biggest hits and most amazing plays of the season. Senior Captain Joey Brennan did the editing using footage of every game of the season including the playoffs. GO RAMBLERS!